Are you looking for a better Employer? Want to be appreciated and rewarded? Then come utilize your valuable Commercial Plumbing experience to work with a highly respected Arizona Plumbing Contractor. 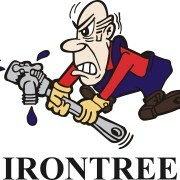 Irontree was founded in 1978. We work with some of the largest GCs in the state and many large Industrial customers. You can perform either new, remodel, and service commercial plumbing installations with people that will partner with you. Our close knit family environment has encouraged many of our employees to establish long time careers with our firm — many with us for over 15 years, and some as long as 25. We offer experience comparable wages with top notch benefits including employee medical, dental, vision, supplemental insurance availability, earned Paid Time Off, a 401K Match plan, and yearend bonuses. We offer safety and professional training, company logoed shirts, cell phones (for leaders) and company trucks (for Foremen). 1 or more years of commercial plumbing and/or service plumbing experience desired. City of Phoenix Journeyman License and leadership experience a plus. Also seeking Certified Medical Gas Installers with current certifications. Required is a clean driving record; clean background; clean drug test; and E-Verify. Please download the application at http://irontree.net/careers or stop by the office and visit us at 4723 E. Ingram Street Suite 101 Mesa, AZ 85205. Many companies are currently hiring workers. IRONTREE is looking for TEAMMATES! 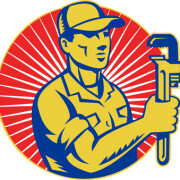 COMMERCIAL PLUMBERS WANTED! WE WANT YOU!